Our firm was formed in 1997 as Cox, Wootton, Griffin & Hansen, LLP. The professional relationship between those initial founding partners, however, had its roots in the early 1980s when they practiced law together at the San Francisco maritime and insurance law firm of Derby, Cook, Quinby & Tweedt. In 1987, Rupert Hansen moved to the international law firm of Graham & James, LLP where his practice expanded into the areas of environmental law, real estate, ship finance, aviation, banking, construction, commercial law and creditors’ rights. In 1989, Terrence Cox, Richard Wootton & Mitch Griffin formed their own firm, concentrating their practice in maritime, commercial, construction, real estate, insurance and employment law and litigation. In 1997, Mr. Hansen rejoined Terence Cox, Richard Wootton & Mitch Griffin and together they formed the firm. In 2001, Gregory Poulos joined the firm as a name partner after practicing as a partner with Lillick & Charles LLP. In 2002, the firm moved into its present unique ground-floor offices on the water’s edge of the San Francisco Financial District. In January 2014, Sands Lerner, P.C., a boutique law firm based in Los Angeles, joined forces with Cox Wootton to become Cox, Wootton, Lerner, Griffin, Hansen & Poulos, LLP. 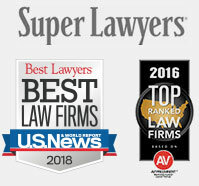 With the addition of partner Neil Lerner, Of Counsel Don Sands, and other talented associates and staff,Cox Wootton Lerner is better positioned to serve our collective clients’ litigation, transactional, and casualty response needs throughout the Western United States, Hawaii and the Pacific Rim. Our firm’s growth is client-driven to respond to robust demand within our Maritime, Transportation, Trucking, Business Litigation, Banking, Marine Finance, Inland Marine, Environmental, Employment and Real Estate Law practice areas. Cox, Wootton, Griffin, Hansen & Poulos, LLP utilizes litigation software capable of handling millions of pages of case documents in a groupware format. Our San Francisco lawyers have substantial experience with advanced trial presentation technology, and we would be pleased to provide you with a demonstration. We are also able to provide litigation support remotely and to quickly utilize our attorneys’ prior relevant work product in order to effect savings both in time and client expense. We are dedicated to working pro-actively with all of our clients to provide the best possible cost-effective service. We promptly provide budgets of anticipated legal fees and costs and we are willing to discuss non-hourly fee arrangements. At each significant stage we explain case options with the goal of listening to our clients’ desires and seeking to achieve them as expeditiously and economically as possible. We recognize that we must earn our clients’ trust every day by placing their interests and needs first. We offer round-the-clock availability for legal emergencies and casualties for our transportation, maritime and insurance clients. Our San Francisco lawyers have consistently dedicated and donated time and industry to give back to the community. This has included serving as pro bono lawyers for Shakespearean theater, autism-related interests, historic and Veterans organizations, and other worthwhile concerns. Our lawyers have also been active in working to improve the overall quality of the law profession within the fields in which we specialize. This has included membership and holding leadership positions in the International Bar Association, the American Bar Association, the Maritime Law Association of the United States, and the San Francisco Bar Association’s Pacific Admiralty Seminar. Our lawyers have also dedicated substantial time serving as adjunct faculty or law lecturers at the University of San Francisco School of Law and Hastings College of the Law.